This few days I was more into homemade things. I just feel like want to use natural things for my face after having not so good experience after using certain products. My face becomes worse and pimple keeps appear on my face. So I stopped and decided to use just natural things on my face. Then comes the idea to use a tomato and honey as a natural scrub for my face. Not just that, I also did another version which I will share about it after this. Using natural things make me feel safer since I know what I put on it compares to an actual product that is fully ready. But, it doesn't mean I dislike or hate the product but maybe that product doesn't suit to my skin and it might be because I chose the wrong product. That can be too, right? I still can't find any products that suit to my skin and solve my acne problems even though I have been using quite a lot products. Without further due, let's get started. Since it is natural things, of course, I will be using the ingredients that we already have at home. So, all you need to make your own face masks are oats, honey, and cocoa powder (it is okay if you don't want to use it I just add it to give a colour to the mask) and water. Oats : As a natural exfoliator to your face. It is also good for those who have pimples (me) and also absorbs all the oil that have on our skin. Honey : As an antibacterial agent. Not to forget it moisturizes your skin too. Cocoa powder : Make your skin soft and smooth and also remove dead skin. The amount that you need of each ingredient depends on you. If you want to do it more than your face, add it more. In my case, I make it a bit more so that whenever I want to use the mask, it is ready. So the remaining balance, I did put in the fridge. All you need to do is mix the four ingredients well. Make sure it is not too thick or too liquidy. Just in between. Once you got the desired paste, apply the mixtures to your face evenly. Try to avoid putting the mask on eyes and lips area. We don't want the mixtures to get into our eyes. 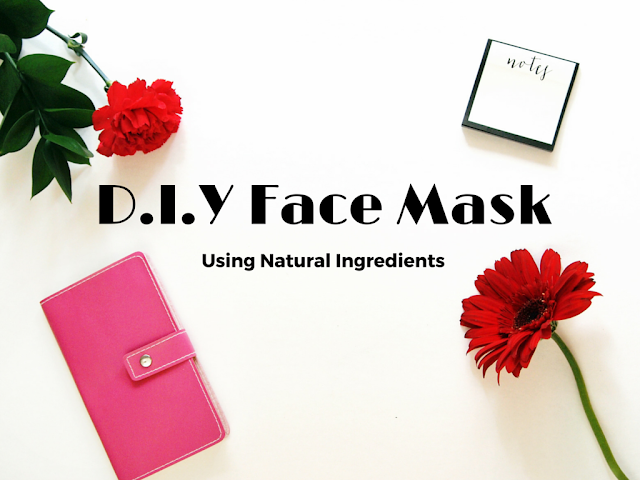 Let the mask dry for about 30-45 minutes (more than that will do), remove the mask and rinse it with lukewarm water. There is another way to make oat mask which is a plain one. All you need to do is a bit of water to your oats until it softens and applies it to your skin. Simple and easy, right? The smell and mixtures really remind me of cake dough. I like it. Sometimes I feel like I want to put the mixture in my mouth and eat it. It is safe to eat, right? But make sure that the mixtures are clean okay? I bet you can feel the difference after using the mask. Your skin will become soft and smooth, less oily, fresh and clean. Make sure you do regularly so that you can get better results. As for me, I will do it twice a day. Day and night. - It will become messy and spill all over the place. So make sure cover your space with something so that it doesn't go to your floor, desk or something. - I tried to remove the mask with two ways. Remove the mask by using water or let the mask dry, the 'peel' or remove it off. If you let the mask dry completely, it will be easier to wash afterwards compares to when the mask is not completely dry and you remove it with water, it is a bit hard and needs more time to cleanse it. - The most important thing is it is simple to make and we use only natural ingredients that we might already have at home. - I feel the difference between before and after, which is good. You guys should try it too and feels the differences. Goodluck! What is your favourite mask at the moment?